Beloved robots Kraftwerk have unveiled plans for an extensive new live release. 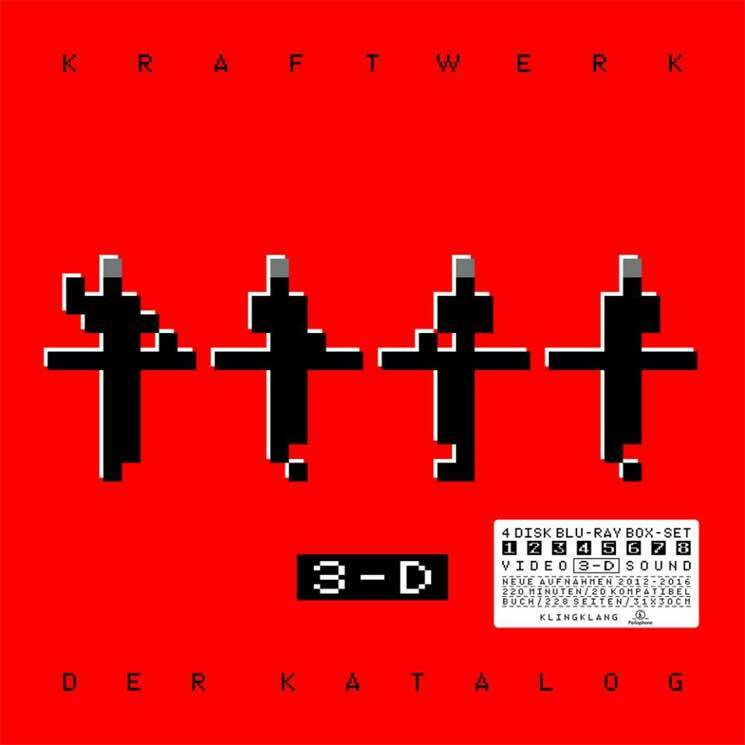 Titled 3-D The Catalogue, it features eight full-album performances, as well as an accompanying concert film. The "multi-media presentations" were recorded during the band's shows at contemporary art galleries and museums around the world over the course of 2012 to 2016, and feature complete album performances of Autobahn, Radioactivity, Trans Europe Express, The Man-Machine, Computer World, Techno Pop, The Mix and Tour De France. The collection will be released in a variety of formats, each due out on May 26. In addition to eight-disc CD and vinyl box sets, there will be a two-disc DVD or Blu-ray box set featuring a selection of live videos, while the deluxe Blu-ray edition boasts the eight aforementioned albums, as well as four Blu-ray discs and a 236-page hardcover art book. We translated our performances to 3D, and in surround sound, kind of like 3D sound. We've been doing this and working on a Blu-ray to make this available. It should be coming out in the late fall. We've put a lot of work into all the images, transforming from our Kling Klang archives into 3D format and arranging it synchronized with the music, so it's quite a lot of production. We're quite a small team of musicians, technicians, computer programmers here at Kling Klang Studios; we do everything ourselves. Watch a trailer for the massive 3-D The Catalogue offering below.